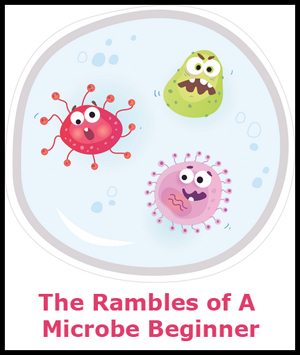 I guess I would call myself a microbe beginner. I recently joined Dr. Eisen’s lab and I am getting up to speed on studying, sampling, and understanding microbial communities, especially in the built environment. Now I think about microbes ALL OF THE TIME. On every surface, in the air, on every inch of my body. I was worried yesterday that I was becoming as “microbe conscious” as a Purrell soaked soccer mom spraying Lysol on every surface in her home. My friend was telling me a very important story about her weekend…and all I could think about was that she was flinging her microbiome all over the room with every elaborate hand gesture! In the evening I attended my regular yoga class. A warm room of 20 people all throwing their microbiomes into our breathing air with every sun salutation. Towards the end of the class, the teacher had us lie on our stomachs, turn a cheek to one side and rest it on the mat. I cringed. Great. Now everyone’s sweaty yoga microbes are flourishing on my face. Namaste. But, wait a minute. I’m not sick. I’m not sick? I’m not sick! Since when did bacteria get such a bad rap? Yes I’ve been swimming in all of the microbes covering the surfaces and air of my daily life but the truth is that most of them aren’t harmful. And my immune system takes care of those that are without a problem. In fact, bacteria are a good thing! We can’t live without them (e.g. the billions of them that live in our guts)! Probiotics are ever increasing in popularity… and I sure have enjoyed more than my fair share of yogurt and kombucha. And so I have to come to peace with these invisible organisms in the same way I approach the giant spider that harmlessly exists in the corner of my shower. We coexist just fine and have for a really long time. Now we can all breathe a collective sigh of relief that the vast majority of the invisible world is not out to get us. There’s some great work done from the Vance lab on pathobionts. Worth checking out. I think you’ll enjoy it.